GANDALF is a Freeman 22 Mk2. Built in 1968 and registered in London, she was originally named 'ELLJON'. Owned by me since January 2010. 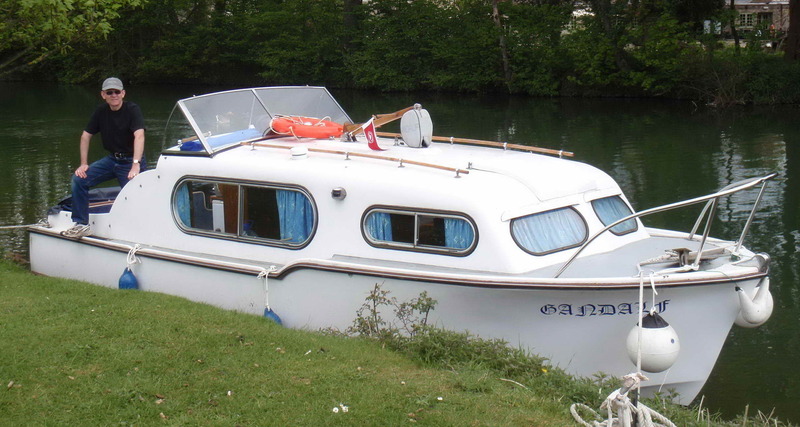 For several years she has been a member of the Swan (Radcot) Cruiser Club. If you know anything of her history I'd be glad to hear from you. Please email John@runnerduck.co.uk. She is fitted with the original WaterMotor, based on the pre-crossflow Ford 105e engine of 997cc capacity. Or right-click here and choose 'save as' to save an Excel version. This will provide greater flexibility when printing.